Just got word that the new Swisstrax Ribtrax Smooth will be available to European agents at the end of November. Essentially the same as the original Ribtrax, only the surface is flatter - this will suit more domestic type applications as it doesnt have the industrial appearance as the original. 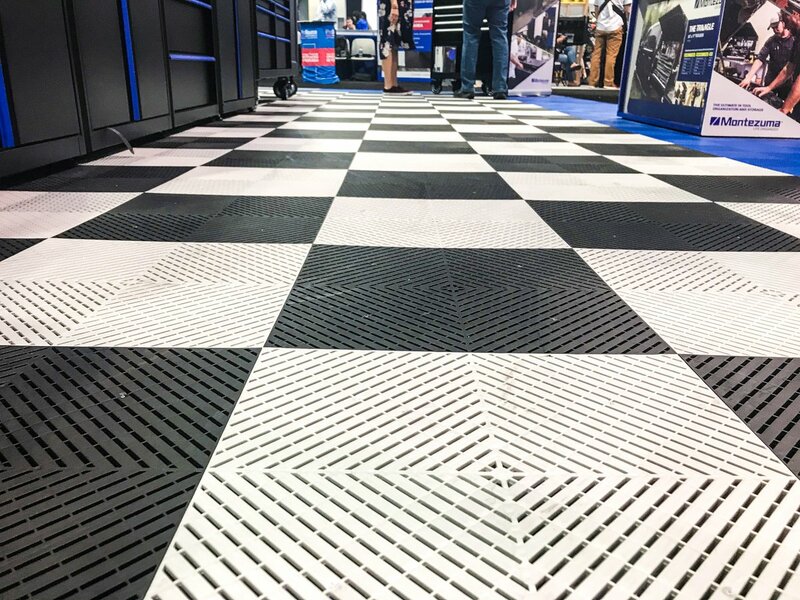 The same spec's as the Original Ribtrax tile; 15 year warranty, Easy Install / Lift & Re-install, Low Maintenance, UV & Chemical Resistant, 30,000kg Roll Over Weight capability, etc, only the surface is flatter, and as a result the effect of a single tile giving the appearance of 4 smaller squares (2* light / dark colour) effect isnt as dramatic, picture below might help showcase what I mean. Thanks for looking and any questions, dont hesitate to contact me!